Home Blog Tools Review Search Engine Optimization Best Blogger Tag Clouds Generator: Free and Customizable! Best Blogger Tag Clouds Generator: Free and Customizable! Have you ever wonder how those geeks implement a simple but attractive tag clouds for their blogs? 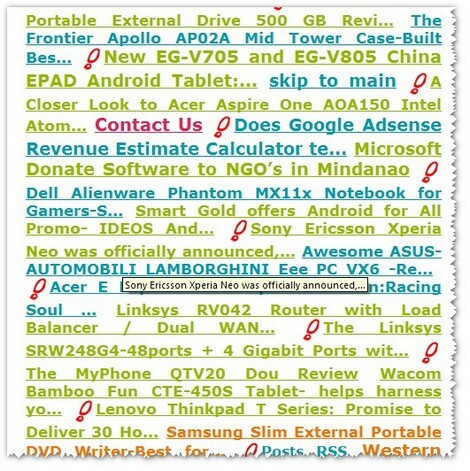 Tag Clouds are getting more popular, simple tools to let your visitor visualize different links in your blog. Tag Clouds for me adds beauty to my blog plus it helps me to attain some SEO benefits. There are a lot of advance tutorials on how to add a tag cloud widget for blogger but I feel it hard for the beginner to grasp since it involves hacking you blogger template. Don’t worry this time, I will tell you how to create your own tag clouds using our online HTML Tag Clouds Generator. •1. Open any online tag clouds generator site; I have given the links below. •6. Save and check if fits or else just repeat customizing ‘till you like. •7. Have fun your done! Tag-Cloud Generator.com- I am using this tool right now, a totally free Tag Clouds can be made in just a minute, without much codlings. Tag-Cloud Generator allows to customize the size, depth, width, fonts, decorations, add background to your tag cloud, mouse effect options, link colors and etc. Tag-Cloud.de is another free Tag Cloud Generator which allows you to create both flash and HTML tag cloud for your blog. The tool is very simple; you will just paste your URL and click to convert for tag cloud. The only thing I don’t like is the few options on customization. Anyway, just give a try, it works too. Tag Cloud- Generator- This tool is very impressive and I can say it’s one the best tag cloud generator for blogger I’ve meet. 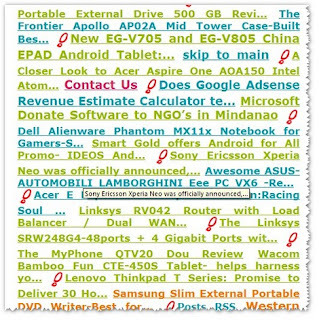 Tag Cloud- Generator allows you to enter your URL then, generate 100 or more tags to be the links on the tag cloud. You can delete unnecessary texts whatever you want. Tag Cloud- Generator allows you to change more tag cloud parameters like background color, borders, link color and decorations, output size, paragraph, fonts, padding and a lot more. You can make an HTML or Flash tag cloud instantly. Basically, with regards to tag clouds I choose html type rather than flash because it will slow the load up of your blog or websites. Hope you learned more with us! Thanks for visiting Bennixville.com, please don’t forget to comment.